Be one of the first companies in New Zealand to own the new Haulotte HA20 RTJ Pro Rough Terrain Articulating Boom lift, with LiftX, the South Islands leading access equipment suppliers. This boom lift is the first of its kind in New Zealand, with the best comfort and safety feeling, as well as easy maintenance. Every aspect of this machine has been designed to meet the optimum level of performance. 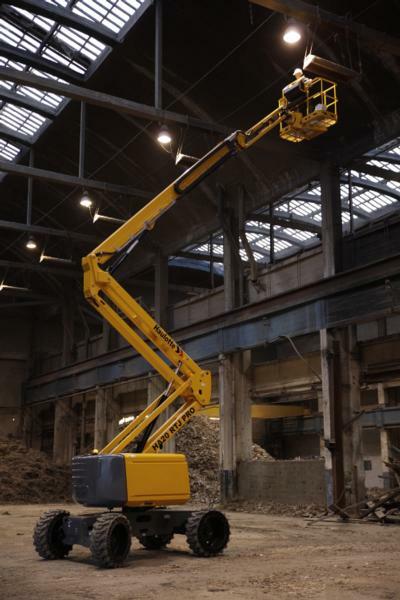 This Haulotte boom lift had productivity, reliability and safety in mind when designing this machine. It has the best lifting speed of 48 seconds, and is ideal for use in hard to reach places, as well as all types of terrain. Liftx is the only specialised sales, servicing and parts centre for lifting equipment across New Zealand. Their team perform 6 monthly certifications on all machines, no matter the make or model, to ensure they are up to safety standards.